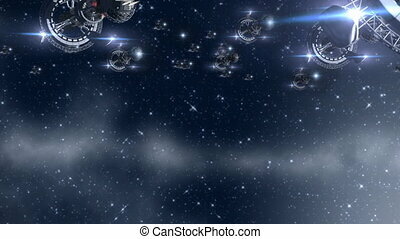 Futuristic deep space travel sequence with closeup on a detailed spacelab, alien spaceship or military spacecraft for fantasy games or science fiction backgrounds of interstellar deep space travel. 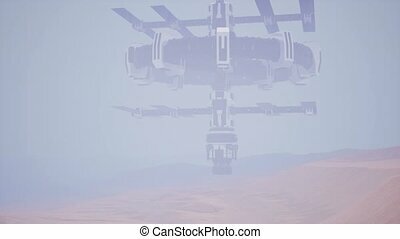 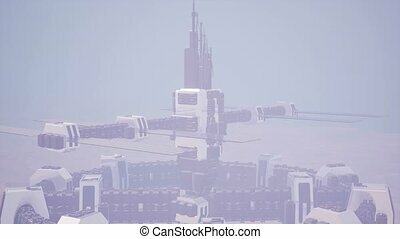 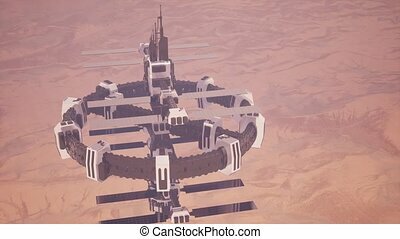 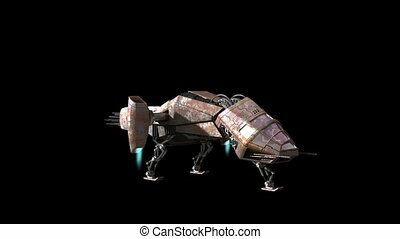 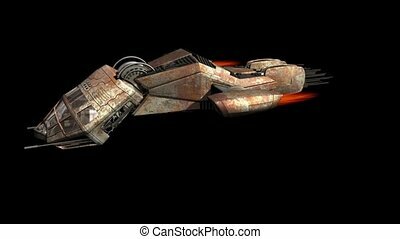 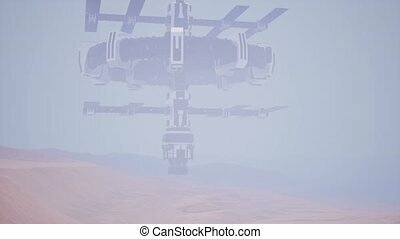 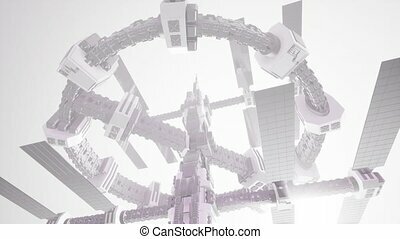 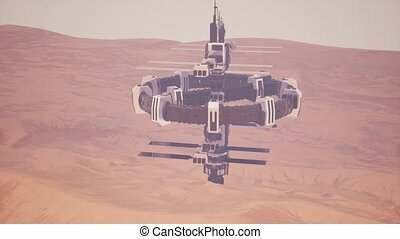 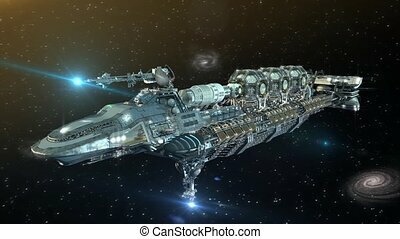 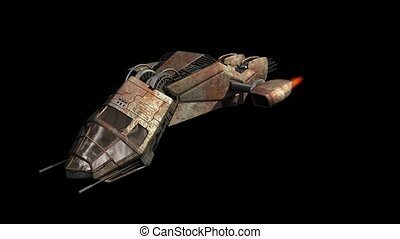 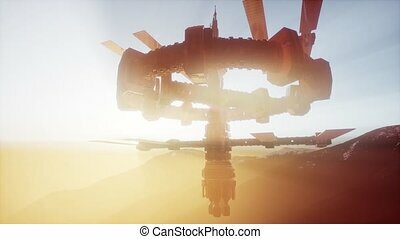 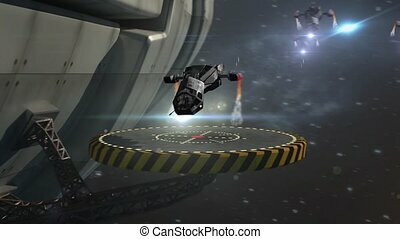 A 3D highly detailed spaceship with drones taking off for futuristic deep space travel backgrounds, or alien and military fantasy games. 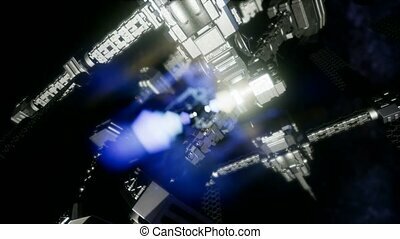 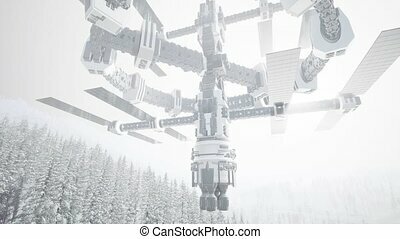 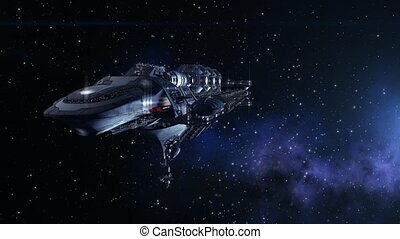 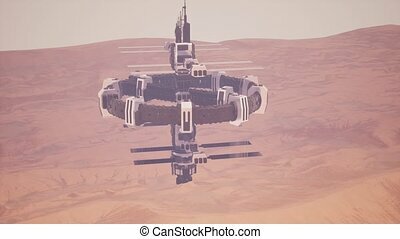 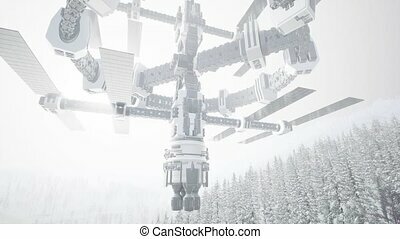 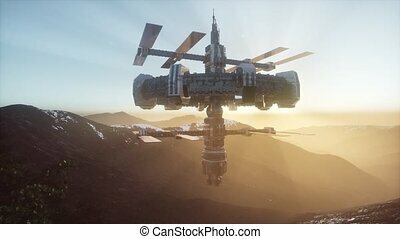 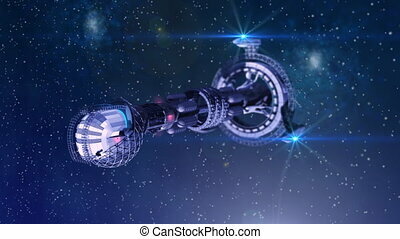 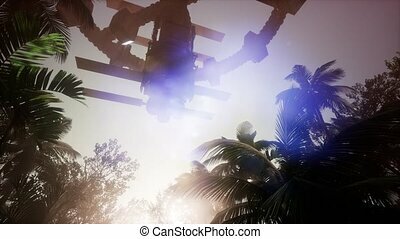 Futuristic deep space travel short sequence with closeup on a detailed spacelab, alien spaceship or military spacecraft for fantasy games or science fiction backgrounds of interstellar deep space travel. 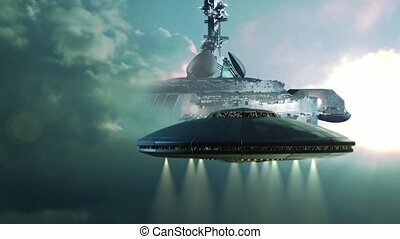 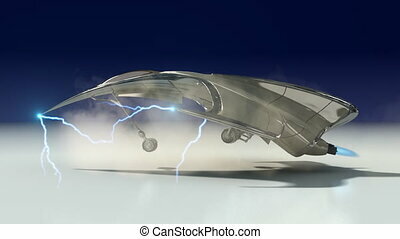 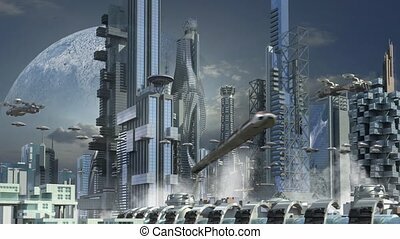 Futuristic sequence with UFO approaching a gigantic mothership in the clouds. 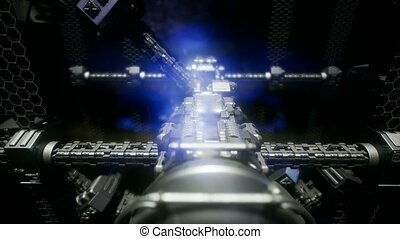 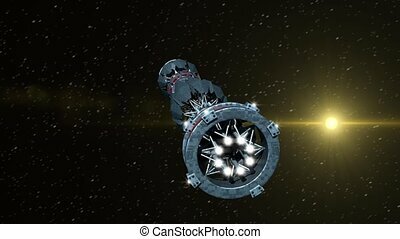 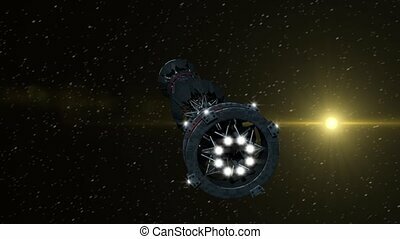 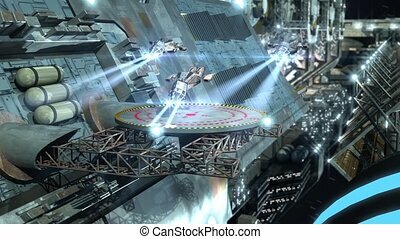 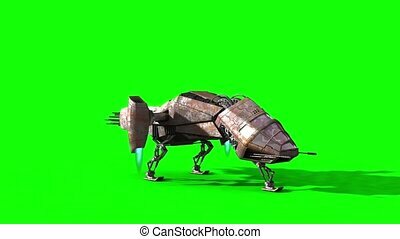 Animation sequence for alien spaceship or military spacecraft fantasy games or science fiction backgrounds of interstellar deep space travel.